Back Zac Bikes coming soon to London! As we have said we want to get as much awareness out there as we can so that people know they can use our services easily and how we work, exactly what we do and what we offer, so another way we are thinking of spreading the word about Back Zac and the brand name is to begin our own ‘Boris’ style bicycles in London. We want the brand name and logo to be easily recognised so that when people think of property, their immediate first thought is Back Zac. Especially as we are aiming towards the younger generation and youth of today, we want those working in and around London to be able to use the bikes as and when required and to be aware of who we are. When they first began they had Barclays bank all over them and now Santander and they can be spotted all over London. We are aiming to go cheaper for the hire of the bikes and hopefully people will therefore go for a Back Zac bike rather than the other actual ‘Boris’ bikes! So it will be half the cost at only £1 for 24 hours hire. 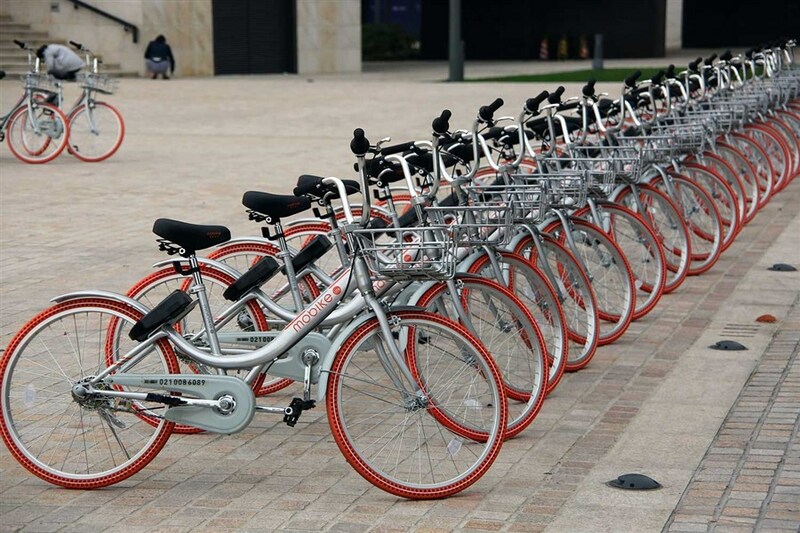 We hope that like the Santander bikes which are red and can be spotted all around, we will have a very eye catching logo on the bikes which will be easily recognisable by everyone that sees them and eventually will be an icon of London just like the red telephone boxes and buses. You can hire them for up to 24 hours as previously stated and for only £1. There will be a few places in and around London where you can pick them up from and drop them off. You can use contactless credit/debit cards to hire one or via our app, so this is another feature our app will have and you will be able to use it for. You will not have to drop it back where you picked it up from, you can drop it off at any designated bicycle station that is near your final destination. Then the code you will be given either via the app or the machine you pay via contactless on will be valid for up to 24 hours. So in that time you can pick up and drop off a bike as many times as is required. The bikes will be adjustable so according to your height etc for the pedals and will be regularly checked to make sure they are safe to ride on the roads so you will not have to worry about any safety checks. So all you need to do is pick one up easily and off you go – you can get through the London traffic a lot easier and save you getting on and off tubes or buses or waiting in traffic in taxis whilst in London and get some exercise whilst you are at it. Look out for them, COMING SOON!